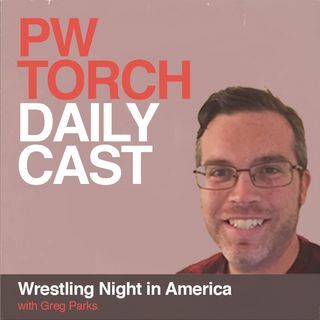 In this episode of Wrestling Night in America, PWTorch columnist Greg Parks is joined by PWTorch.com contributor Jon Mezzera to break down the NXT Takeover: New York show. They also preview the upcoming WWE Superstar Shakeup by each giving three acts they'd move to Raw, and three they'd move to Smackdown. They also field phone calls on the subjects of AEW and MLW's TV deals, where WWE TV may end up after the USA and FOX contracts, how confusing WWE's TV and matches may be to ... See More new viewers, and more.